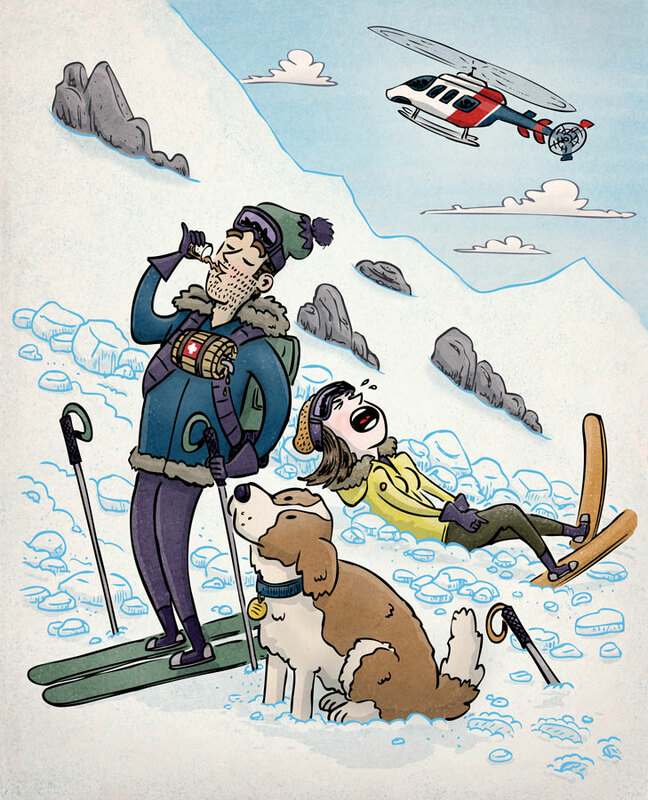 Latest work for Ascent Backcountry Snow Journal: An Unhelpful Saint Bernard. 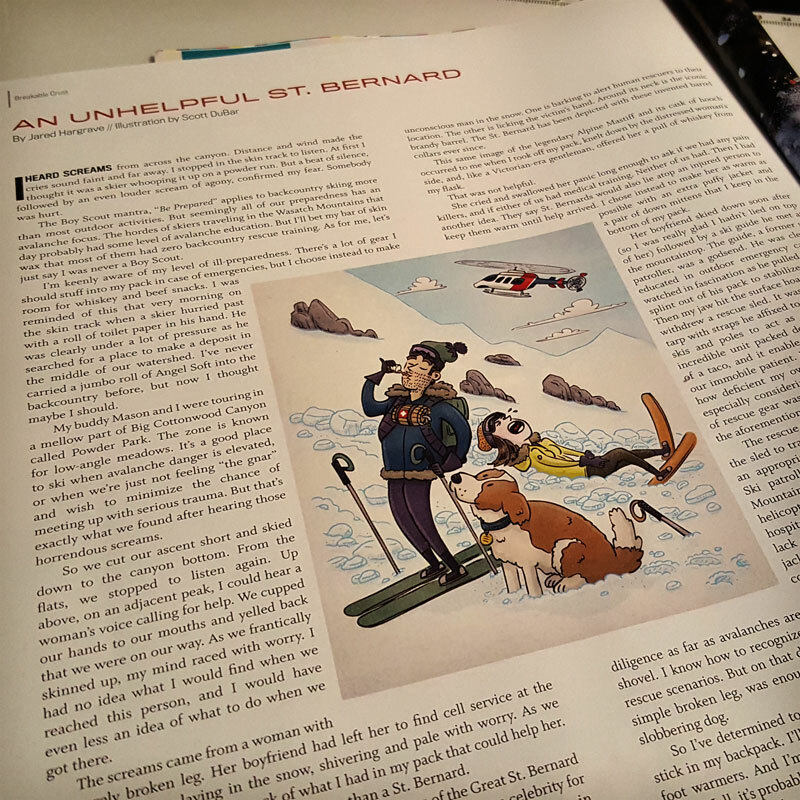 The story is about a skier who finds that he is no more helpful in a ski emergency than the mythical Saint Bernard with a keg of whiskey around his neck. I really enjoyed this one as I can remember watching Saturday morning cartoons where the Saint Bernard would come to revive Elmer Fudd or Porky Pig but everybody just ends up drunk. The post An Unhelpful Saint Bernard | Ascent appeared first on Scott DuBar Illustration.